The residence, "Le Sornin" at Autrans, is situated 600 m from the centre of the village. It is made up of 4 apartment buildings (without lift) plus one building containing the communal areas. 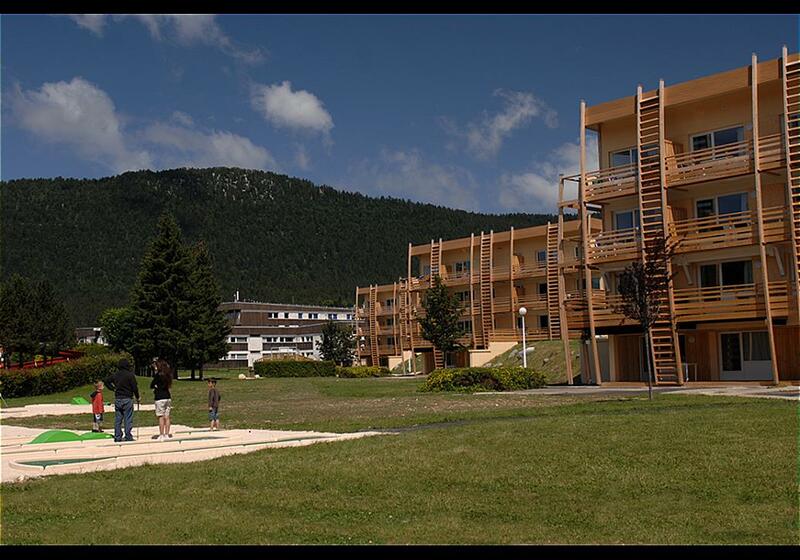 Autrans is a small, mountain village resort, with its unspoiled natural setting and typical mountain architecture, situated 35km from Grenoble, in the Vercors regional nature park , in the Isère region. Combining forests, mountain pastures, farms and regional produce, Autrans offers a totally authentic mountain holiday in the fresh, pure air of this resort that was formerly recognized for its health-giving climate. Discover this village resort in Isère, with its warm, friendly welcome, which offers numerous different outings either on foot or on mountain bike, for the discovery of deer, chamois, wild boar or roe and of a multi-coloured and abundant flora. - Pets admitted (with supplement) : up-to-date vaccination certificate and tattoo required. Dogs are to be kept on a lead within the residence.